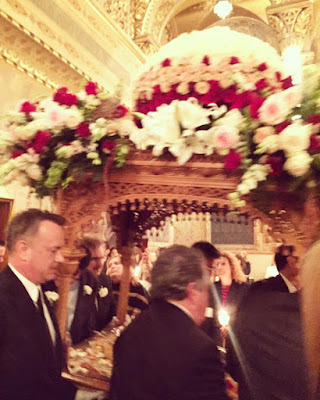 Greek actor Theocharis Ioannides, who was in Los Angeles on Orthodox Easter (Pascha) Sunday, uploaded to his Instagram account a video of Tom Hanks on stage during a Greek Orthodox Easter celebration that afternoon, where he greets the audience by saying in Greek "Christos Anesti!" (Christ is Risen) and "Alithos Anesti!" (Truly He is Risen) to blues music. Tom Hanks converted to Orthodox Christianity when he married his wife Rita Wilson, who is Greek, in 1988, and attends Saint Sophia Cathedral in Los Angeles. There he can be seen every Holy and Great Friday helping to carry the Epitaphios (Tomb of Christ) around the church. 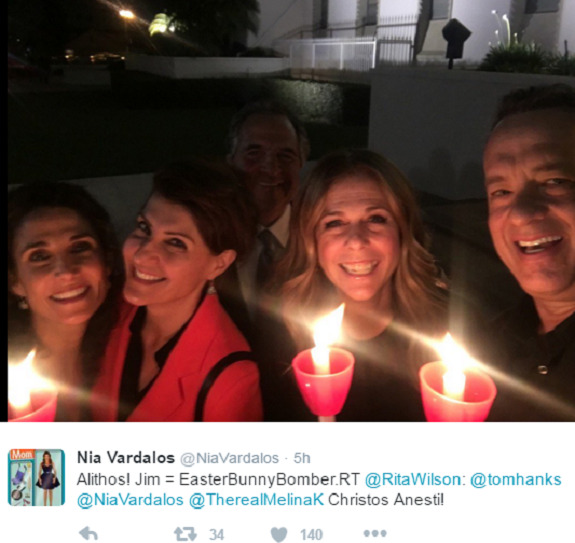 This year Tom and Rita Hanks attended the midnight Easter service with other Greek actors, such as Nia Vardalos and Melina Kanakaredes, and it was captured on Vardalos' Twitter account with them holding their Paschal candles. 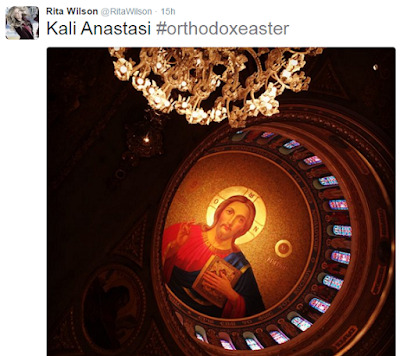 Rita Wilson also posted "Kali Anastasi" (Good Resurrection) to her Twitter with a domed fresco of Christ. Donald Trump on "Citizen Kane"